The ReliaCar network covers over 550 cities in 65 countries on six continents, giving our clients comprehensive and cost effective solutions to their worldwide chauffeured service needs. We are careful to maintain ReliaCars' high service standards consistently at all of our affiliate locations worldwide. ReliaCar has implemented quality assurance programs with strict standards of performance governing every aspect of our operation, from reservations, and billing, to the skills of our chauffeurs, and the cleanliness and maintenance of our vehicles. ReliaCar Limousine has simplified the worldwide reservation process for our corporate partners by creating our "one-call" philosophy. Want the peace of mind you deserve? Make a single call to ReliaCar Limousine–and your entire travel itinerary, both in the United States and abroad, is completed efficiently and cost effectively. Corporate: Whether you are traveling for events such as roadshows, corporate conferences, business meetings or off to one of the area airports our professional chauffeur service is dependable, reliable and offers a competitive value for your company. Roadshows: Years of experience have enabled us surpass the unique demands required. Whether it's multi-cities, multi-stops, or both you can count on ReliaCar Limousine to provide exceptional logistical support at the intensive level of service that your roadshow demands. Private Aviation: Optimum service for VIP travelers at each point in your business travel provides you with peace of mind, a premium vehicle and a knowledgeable, well trained chauffeur. Airport Transfers: Flight conditions can vary, so we offer consistent, superior quality on which you can depend. Ride comfortably in the care of the most professional chauffeurs in the industry. 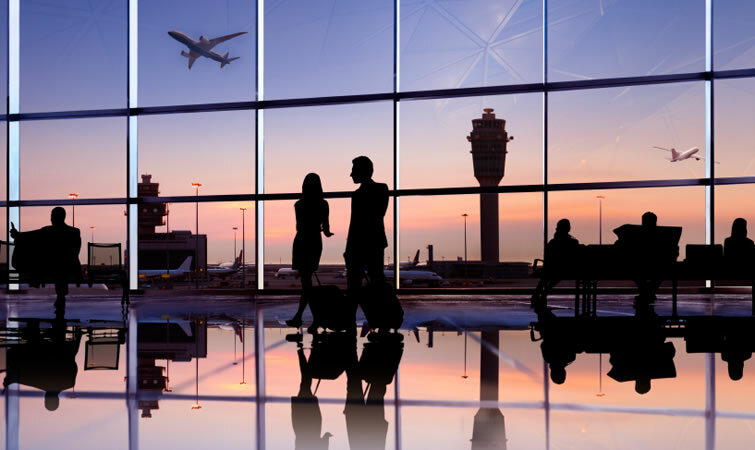 Our chauffeurs are trained to maintain intimate familiarity with the layout, logistical details and surrounding traffic patterns of the airports they serve. Global Reservations: Our reservationists are available 24 hours a day 365 days a year. We offer online reservations as well. You receive constant notifications regarding your reservation ensuring an on-time pick-up and drop-off.